2016 NABJ/NAHJ Convention & Career Fair -- Washington, D.C.
Option 1 - Online Registration: Click the black "Register" button above. Option 2 - Mail/Fax Registration: Click HERE to download the paper registration form. • Registration confirmations will be emailed. • Registration total includes a $3.00 administrative fee. 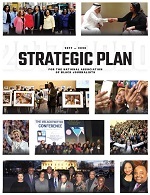 • Current NABJ national and chapter members are still eligible to receive the chapter discount if registration is completed by the early bird deadline. 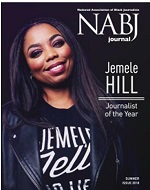 To receive the discount, fill out the NABJ Chapter discount rebate form by March 1. There will be no exceptions to the rebate due date. • Pre-registration ends June 1, 2016. After this date, you must register on-site. • Registration transfer requests must be in writing and received on or before June 1, 2016. • Promo codes and discounts must be processed during registration to receive the discounted rate. No adjustments or refunds will be honored. • Only registered attendees with a badge may attend convention events/activities. • Lost badge fee is $100. • All meal events will be ticketed. Tickets are not guaranteed unless selected on the registration form. Seats are limited and will be ticketed on a first-come, first-served basis. • Registration rates quoted are in U.S. dollars. Checks must be payable in U.S. funds drawn on a U.S. bank. • No personal checks accepted for onsite registration. • Return check Fee is $50 in addition to registration fees. • All requests for refunds must be in writing. Click HERE to submit your refund request. Telephone cancellations will not be accepted. • Professional/Emerging/Alumni/Academic/Media Related member registration cancellations received on or before June 1, 2016, will be eligible for refund, less $125 administration fee ($35.00 for students). • Cancellations/refunds will not be made for requests postmarked after June 1, 2016. No Exceptions. • Refunds will be processed four to six weeks after the convention.